Our large custom chest box with mixed nuts, trail mix, and almonds is a great holiday corporate gourmet food gift. 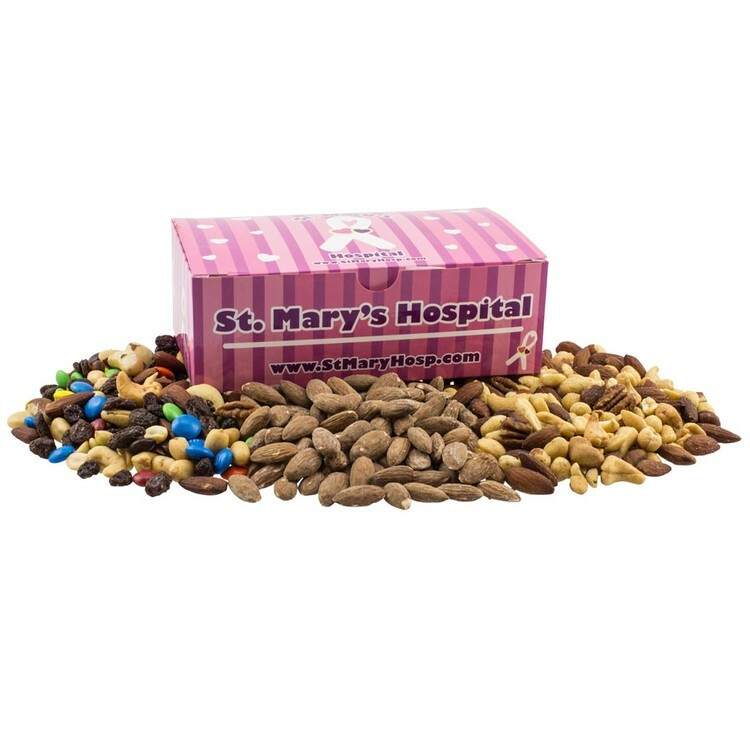 It is filled generously with mixed nuts, trail mix, and almonds in a cellophane bag to satisfy your clients snack tooth. Give your clients a special holiday thank you while promoting your brand on this sharp custom chest box with mixed nuts, trail mix, and almonds.